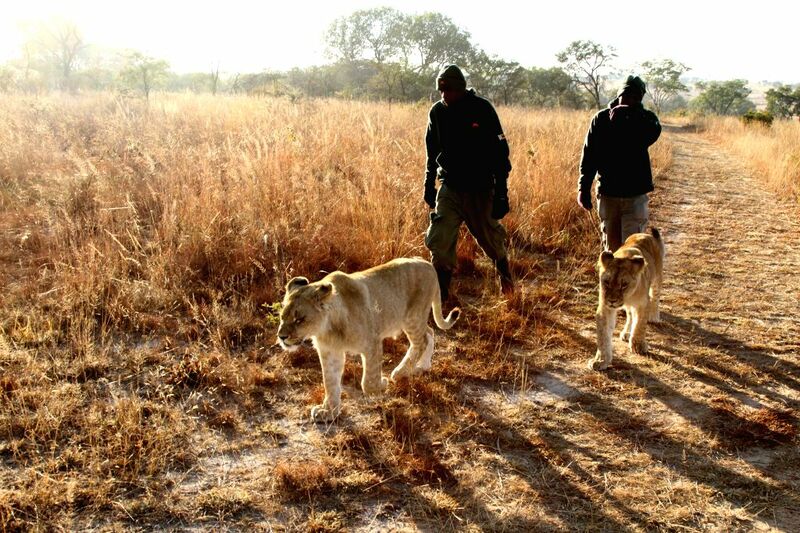 GWERU, July 8, 2014 - Staff members lead two lion cubs out for a lion walk at Antelope Park, in Gweru, Zimbabwe, July 6, 2014. 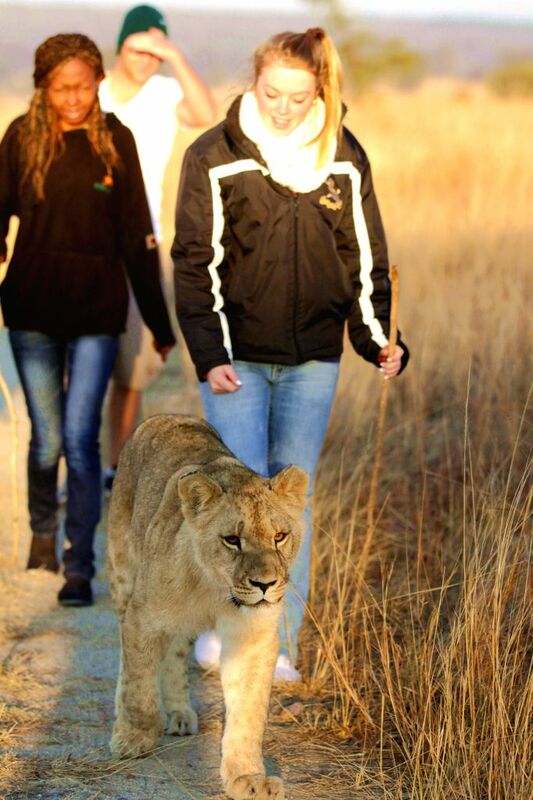 Lion walk was introduced to Antelope Park over a decade ago as part of an on-going conservation program to save African lions, whose population had dropped about 70 percent in the past two decades estimated to be 320,000. 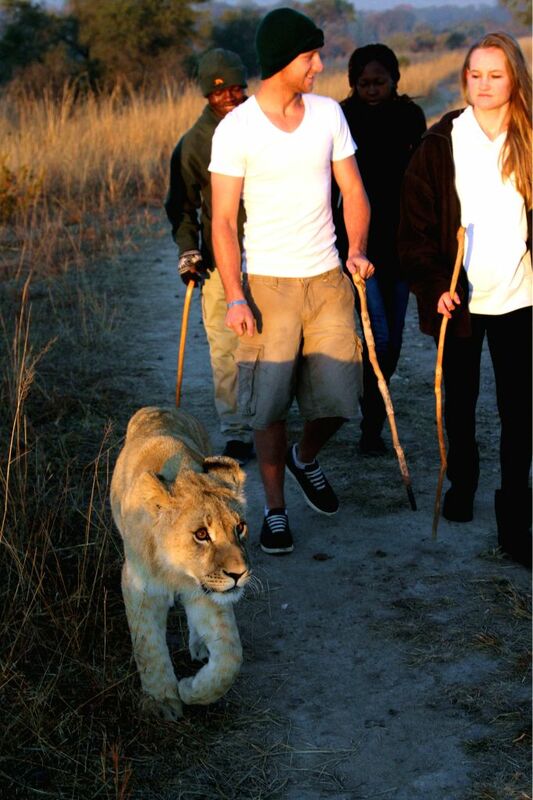 Foreign tourists walk with a lion cub at Antelope Park, in Gweru, Zimbabwe, July 6, 2014. Foreign tourists pose for photos with two lion cubs at Antelope Park, in Gweru, Zimbabwe, July 6, 2014.